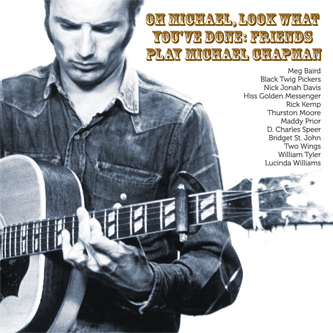 This one's been a long time coming, a glorious collection of tributes to British folk idol Michael Chapman, curated by Tompkins Square and Chapman's wife herself. We've got a fantastic amount of good material here, with Thurston Moore, Bridget St John, Meg Baird and Hiss Golden Messenger among others providing intriguing takes on the singer songwriter's fine catalogue of work. Each artist takes it into their hands to make the songs their own and while some are more successful than others, some serve to illuminate the way Chapman's work has been assimilated over the years. Thurston Moore's cover of 'It Didn't Work Out' is especially successful, combining the haunted grit of early Sonic Youth with the songwriting expertise of Chapman with a near-troubling ease. Good stuff, and well worth diving in to.